Listen to French Montana's new "MC4" single, "No Shopping," featuring Drake and produced by Murda Beatz. OVO Sound Radio has been enjoying its bi-weekly residency on Beats 1 radio for over a year now. It seems that Oliver El-Khatib & co. have something crazy in store for every single episode. That's certainly proven to be the case tonight. Though Popcaan is the official guest star of tonight's show, French Montana made an appearance during Oliver El-Khatib's opening set, and he proceeded to drop three new exclusives in a row. First came the Gucci Mane remix of his and Kodak Black's "Lockjaw," and then French shared a new Maaly Raw-produced track off his upcoming album, MC4. After that, it was time to hear his highly anticipated collab with Drake, "No Shopping," which will also appear on MC4. 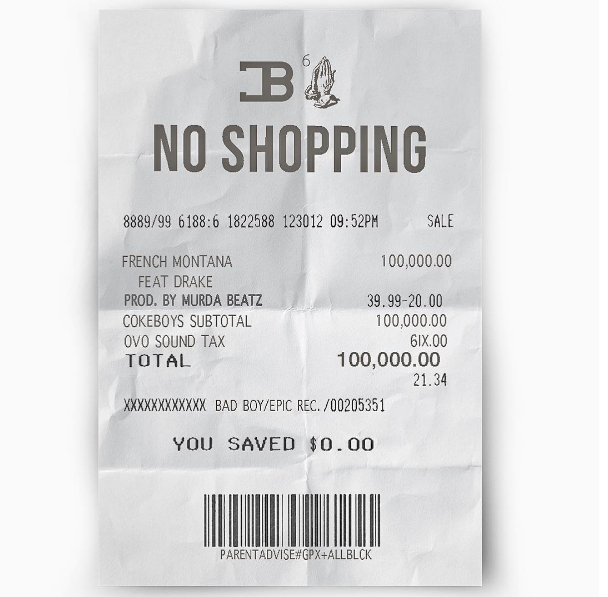 "No Shopping" is produced by Niagara's Murda Beatz and co-produced by the duo Cubeatz. Leading up to its premiere, the song was of particular interest because it was speculated that Drake's verse might contain shots directed at Joe Budden, who, at the end of last month, released a scathing Drake diss track entitled "Making a Murderer." Less than a week later, he hit him with another one: "Wake." On "No Shopping," Drake doesn't address Budden by name, but right away, it's immediately obvious that the New Jersey vet is his target. He begins his verse by namechecking "Pump It Up," Budden's 2003 single that stands today as his biggest hit. "I'm not a one-hit wonder, they know all my stuff," he proceeds to rap. "You let me turn into the n*gga you almost was." How's ol' Joe feeling right now? 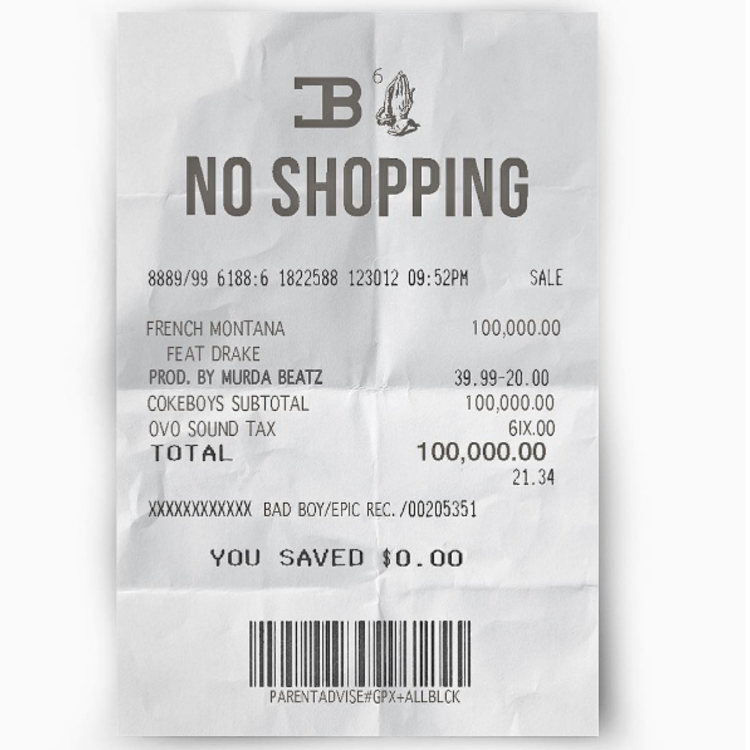 To be sure, there's a lot more to "No Shopping" than a slew of clever Drake subliminals. It's French's track, and it's one of his best in recent memory. His energy is more aggressive than usual, and he ride the beat effortlessly, snapping on every single bar. As of now, MC4 is sounding mighty strong. The album drops August 19.